From rivalry matches to key contests with regard to conference races and potential NCAA seedings are on tap for Week 13. Seven matches featuring two VolleyMob Top 25 teams are on the docket this week for NCAA volleyball fanatics to enjoy. Live streaming and stat links are available here, on the VolleyMob TV schedule page. 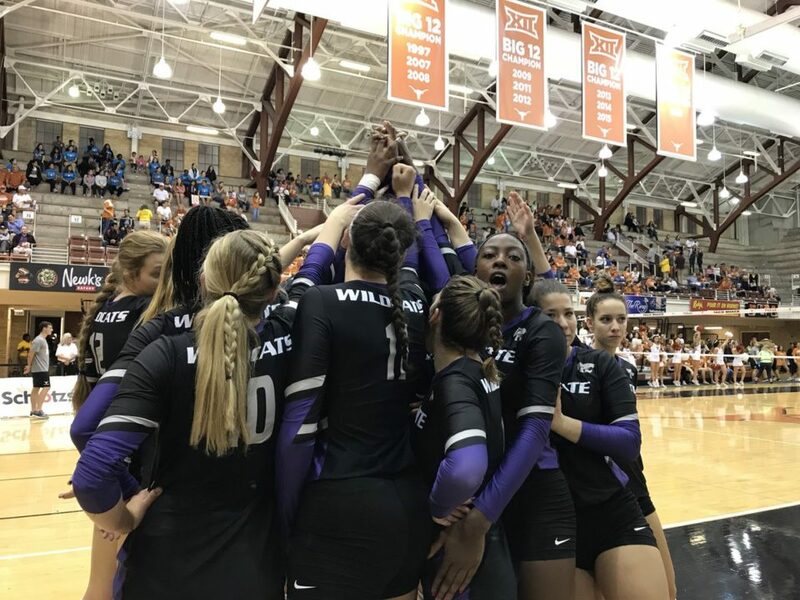 The last time out in the series, the Wildcats, then winless in Big 12 play, posted a 3-1 win in Manhattan on Oct. 17, cooling the fire of the Jayhawks who were new to the national rankings and riding a nine-match win streak including an upset win over top seeded Texas. Including the loss to the Wildcats, Kansas is 2-4 over its last six matches, including a Saturday loss to Texas in Austin (3-1). K-State has dropped four of its last five matches, including sweeps at the hands of Texas and Baylor last week. The Wildcat look to sweep the season series for the first time since 2011 and improve their all-time lead in the series to 65-52-1 since 1974. 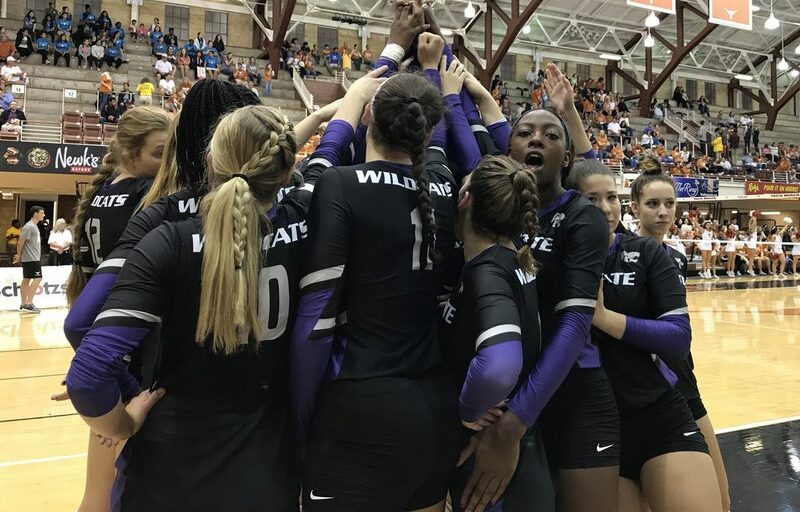 The Oct. 17 win, however, snapped a seven-match series losing streak for K-State. Both teams are still in the race for third pace in the ever-tough Big Ten Conference with Nebraska tied with Penn State and Wisconsin at 11-5 and Purdue a game back at 10-6. Both teams are safely in the NCAA field, and hosting is still on the table for both as they sit among the RPI Top 16. Nebraska brings a four-match win streak into Friday’s meeting in West Lafayette, including wins over Penn State (3-2) and Michigan (3-1). The Boilermakers are looking to bounce back after a tough road weekend, which saw the team fall to Wisconsin (3-2) and Minnesota (3-0), snapping a seven-match win streak. This is the lone meeting between the Boilermakers and Huskers in 2018. Nebraska lead the all-time series 17-7 and has taken each of the last five meetings, including a pair of four-set wins in 2017. This match has big implications for both the Big 12 race and postseason seedings as the Longhorns and Bears are currently the top two teams in league action and are fourth and 15th respectively in the latest RPI listing. A Texas win would clinch the Longhorns the Big 12 title as the Bears have played one more match and could not match the 13 win output. A Baylor win would keep the team in the race for one more day. Texas only Big 12 loss came on the road at Kansas on Oct. 10. The Longhorns have won their last seven matches since that date, including four sweeps. Most recently, Texas avenged the loss to the Jayhawks with a four-set win in Austin on Saturday. The Bears are on a six-match win streak with just two matches left on their regular season slate. The team’s last loss came via sweep at the hands of Kansas State on Oct. 20. With four teams packed at the top of the ACC standings, Friday’s match between the Panthers and Seminoles could be key in deciding the league title. Currently, Pitt checks in at the top at 14-1, while FSU is right behind at 13-2 followed by Louisville (13-3) and Syracuse (12-3). Each team has three matches remaining. Pitt brings a three-match win streak to Tallahassee, having avenged its lone ACC loss to Duke on Sunday in its only match last week. Florida State has won its last four contests coming into the meeting, besting Virginia Tech (3-0), Notre Dame (3-1), Louisville (3-1) and Notre Dame (3-1). The Seminoles played just one contest last week, topping the Irish on Sunday. The Panthers bested the Seminoles in four sets in a Sept. 30 meeting in Pittsburgh. FSU hit just .088 in the match, but outblocked Pitt 15-9. Four Panthers posted double-digit kill tallies, led by Layne Van Buskirk‘s 16 kill, eight block effort. Pitt leads the all-time series 7-5, including each of the last three contests. Kentucky currently boasts a two-match advantage in the SEC race, just ahead of Florida (12-2), Tennessee (12-2) and Missouri (12-3). Kentucky is firmly in the NCAA Tournament field at No. 8 in RPI, while Missouri will look improve its seeding (currently 29 in RPI). Kentucky faces Arkansas on Wednesday before turning its attention to the Tigers. The Wildcats have won 17 straight heading into the matchup with the Razorbacks, the first of three road contests in a row. UK has won six consecutive matches via sweep. Up first on the docket for Mizzou is a Wednesday match against Tennessee, where the Tigers will look to avenge a five-set loss from Sept. 28. The Tigers have won their last two matches, topping Auburn (3-0) and Georgia (3-1) last week. Kentucky bested Missouri in four sets in the Wildcats’ home opening SEC weekend. The win included 11 Kentucky aces, the most ever in a 25-point rally-scoring four-set match in program history. Kentucky’s Sept. 30 victory (3-1) over Missouri gave the Wildcats a 6-5 edge in the all-time series. The win was the second in a row for UK, following a four-set victory on Sept. 20, 2017, the lone meeting last season.